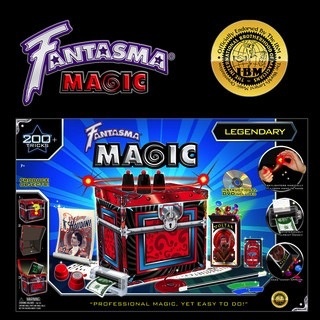 The Legendary Magic Set includes some of the world's greatest, professional-quality magic tricks that can be performed by magicians of all ages. Make your favorite object appear with the Magic Tip-Over Trunk, and make lights appear from nowhere with our amazing Skylighters. The set also includes everything you need to perform some of magic's greatest tricks, such as making candy appear, mysteriously print money and many more. The set includes a fully illustrated manual and a demonstration DVD to further help perfect these routines.